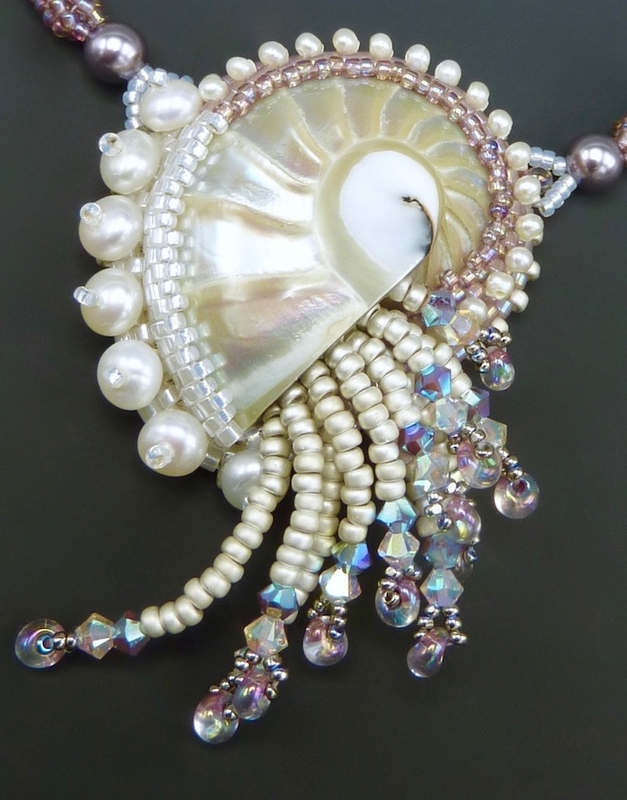 This elegant necklace features a stunning real nautilus shell bezeled with seed beads and then embellished with Swarovski crystal, tiny gem pearls and fresh water button pearls. Techniques include embroidery, peyote stitch, herringbone, chenille and embellishment. 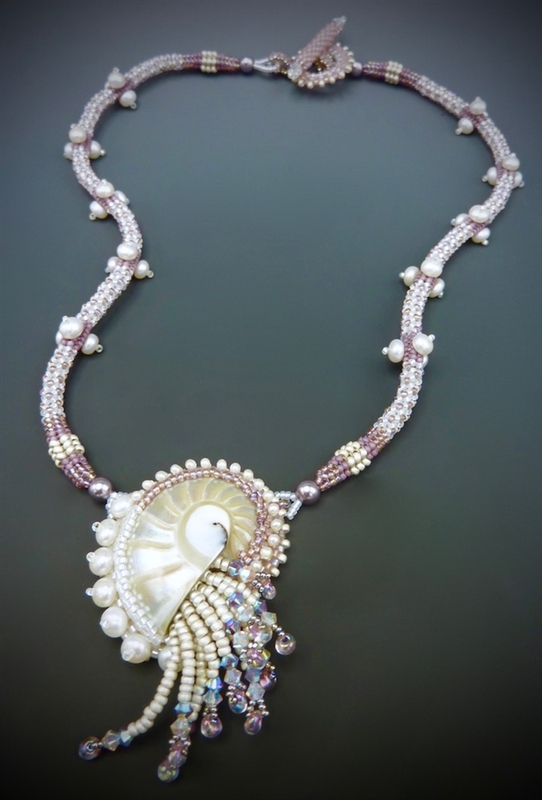 Orchid & White color way which includes silver plated and rhodium plated seed beads.